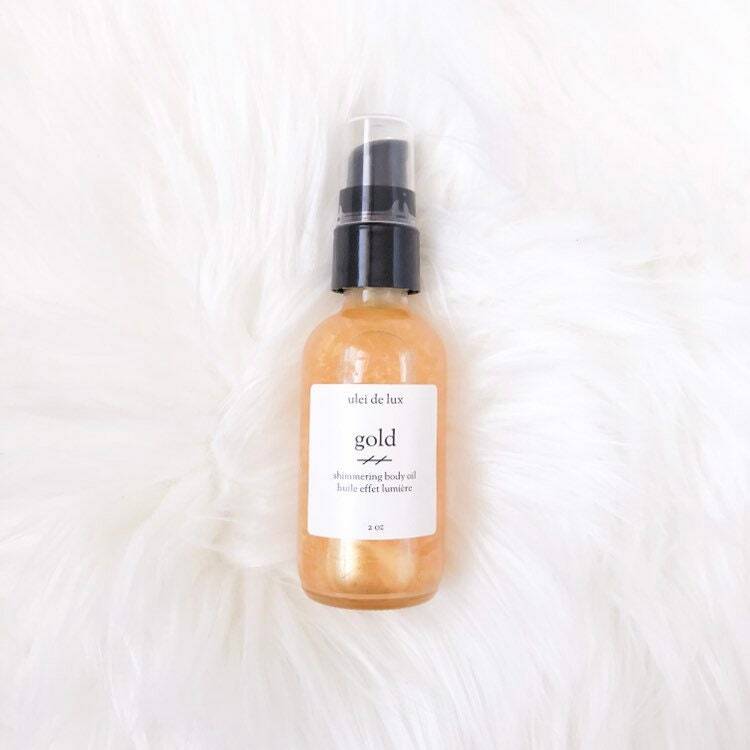 This citrusy, shimmering body oil will give you hydrated, glowing and subtly luminous skin. The light oil is absorbed quickly, without leaving a greasy feel. Instructions: Shake well before using. Massage into skin, making sure to highlight décolleté, shoulders, arms and legs. Ingredients: Caprylic/capric triglyceride (Coconut oil), Prunus Amygdalus Dulcis (Sweet almond) oil, Camellia Oleifera (Camellia) oil, Mica, Citrus sinensis (Sweet Orange) oil..